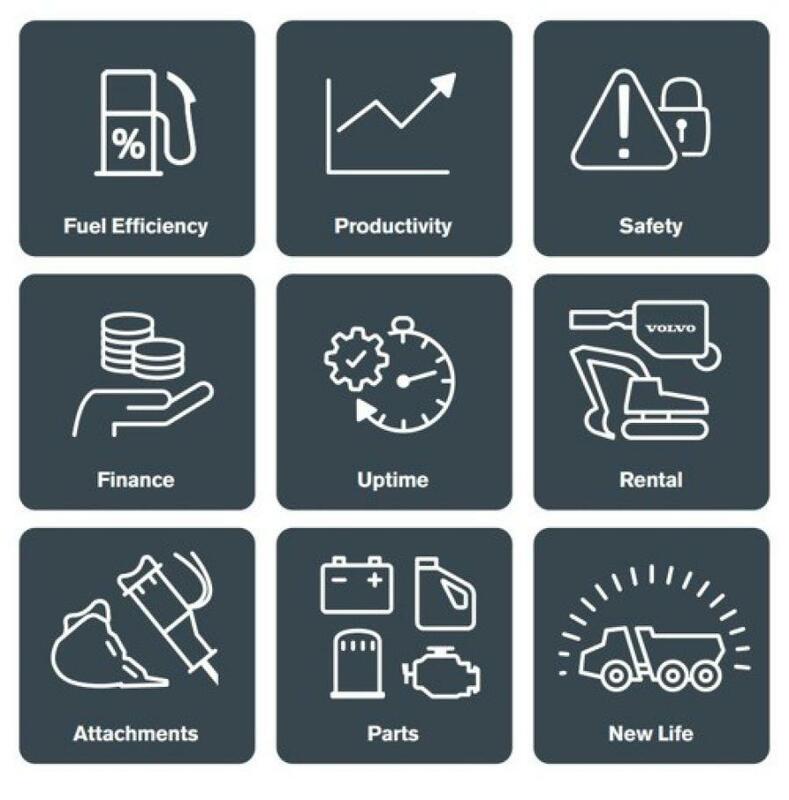 Applicable new machine purchases come with the standard Volvo warranty, four years of free CareTrack telematics service and one free year of ActiveCare Direct machine monitoring and reporting. 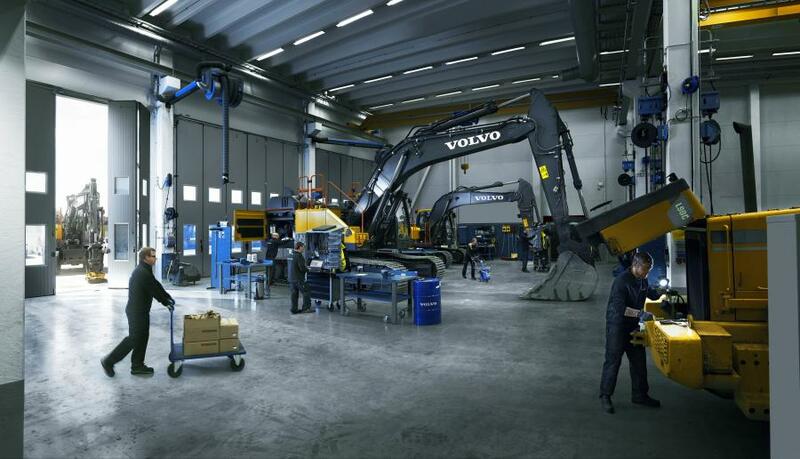 Applicable new machine purchases come with the standard Volvo warranty, four years of free CareTrack telematics service and one free year of ActiveCare Direct machine monitoring and reporting. It also includes a Smart Commercial Account for convenient parts, service, attachments and rentals financing, a fuel efficiency guarantee, access to 24/7 parts online, Volvo Care Inspection services and a 24-hour parts guarantee in the U.S. (48 hours in Canada and Hawaii). Uptime — cut repair costs and unplanned machine downtime with services like our ActiveCare Direct telematics monitoring and reporting service, repair and maintenance services, and our Lifetime Frame and Structure Warranty. Financial — offers flexible leases, versatile loans and parts and service financing options to protect and grow customers' businesses. categories are part of Volvo Construction Equipment's commitment to the success of our customers and their businesses.